Senitel Wheelchair Tyre 3mm LDP Flat Guard. These tyres have a 3mm LDP flat guard anti puncture insert to help prevent punctures. 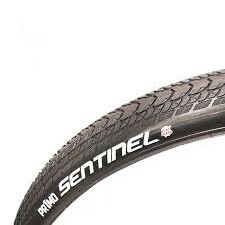 Strengthened sidewall aids low rolling resistance.